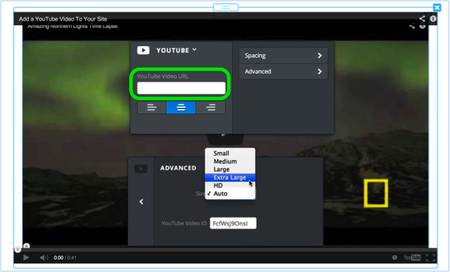 The YouTube Video element allows you to share videos from - you guessed it - YouTube. This element can be found within "Multimedia" in the element bar. Drag this element to a page to get started. 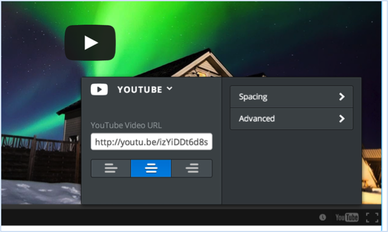 *Remember to caption the video before embedding to your website, if it is not already. Or you may provide a written transcript. To find the direct link, click the Share button beneath the YouTube video and copy/paste from there. No other link will work, so be sure to use the one found here. 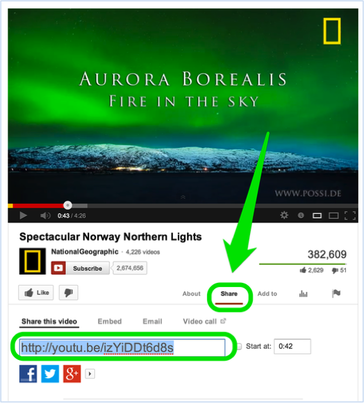 Once you add the link, the video should show up on your page in less than a minute. If it does not show up then you are not using the direct link - please double check that you are copying the proper link using the option noted above.